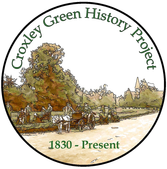 Membership of the Croxley Green History Project is free and open to all. As a member of the group the object is to build the website into an historical reference of importance. The inaugural meeting for interested members will be to select and form an active committee. The steering committee will meet and advise the membership of the progress of the project. Meetings of the full membership will be arranged and committee meetings held ad hoc. To explore more of our local history as a living memory. To collect, preserve, and index original source material such as, photographs, documents and recordings. To encourage further interest by preserving, protecting, and making accessible archived material, by appropriate means. To foster continuous interest and enthusiasm for use in academic and social education to include, but not limited to, displays, walking tours and visits to schools and other similar organisations. A small group have set up the website to achieve this stage. Assistance to operate with the direction and running of this history group is required to take it forward. Our launch event on 1st December is to ensure that the Croxley Green History Group becomes known as a local organisation to nurture local interest. Who value the importance in the place in which they live (lived) Promote this project and particularly join as a member of an active committee. Initially all advertising will be by local means including the Croxley Green Residents Association, Facebook page and via email. Primarily membership is free. Discussions will be on going to raise funds. 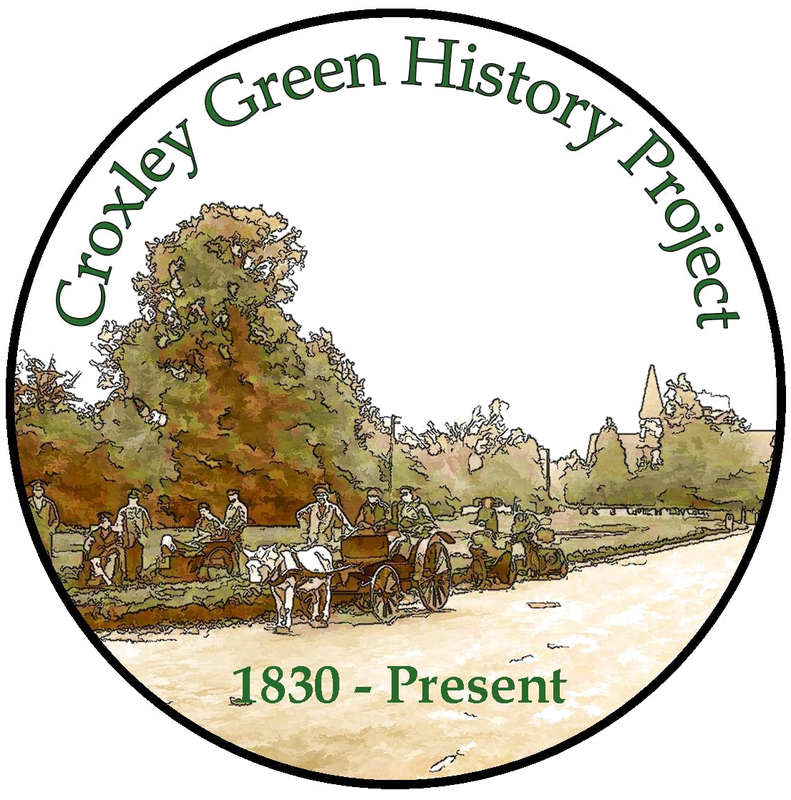 A constitution will be written with the help of local organisations who want to be involved with the Croxley Green History Project. Members will be asked to input their knowledge of fund raising activities to achieve a healthy balance for running and improving the site. Finances are handled by the treasurer of the Croxley Green Residents Association. At the launch suggestions/responses will be explored with regard to the future meetings, dates and venues. The ability to scan and transcribe old documents on a temporary basis can be made available. Material given to the project for copying and recording and requires safe guarding by professional means may require a decision with the committee. An oral history section is a significant part of the project. To build this includes current residents living in Croxley Green over 55 or at least 50 years. Residents who have moved will also be considered. All research will be published on the website and be available for all. Currently there is sufficient storage to grow the website and the archives. Capacity and the safe storage of all data and documents will need to be determined in the future.